Give your images even more meaning – by adding explanations. Image annotations in general should highlight details and points of interest, or explain features within an image. With Frontify, that's a piece of cake. Add the Annotations Smart Block and drop your image into the marked area. Add an annotation by clicking into the placeholder text. Move the dot to the point of interest within your image, by drag and drop. Various options allow you to design your explanations, like changing the color of the dots, border the image, or allowing the image is downloadable or not. 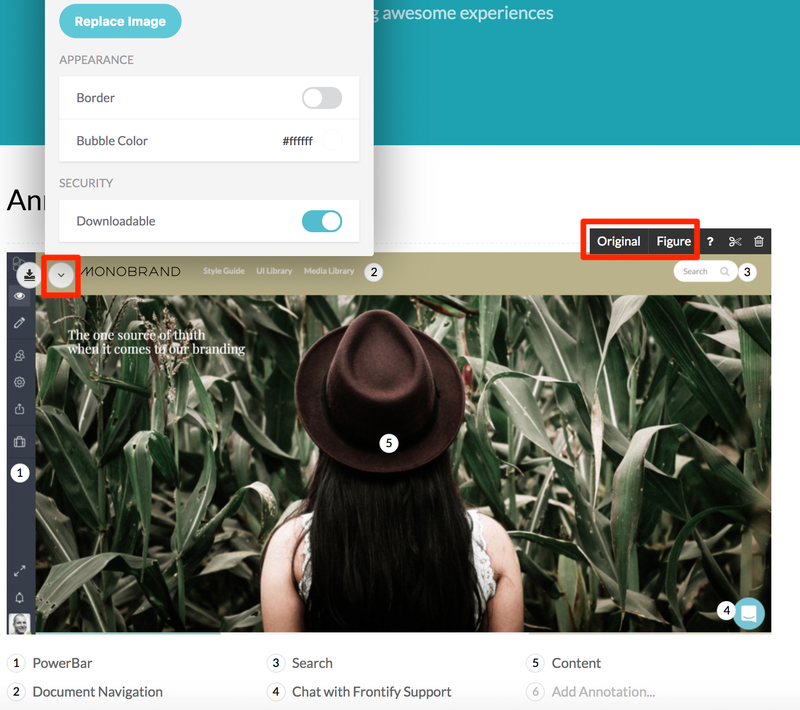 You can also switch the layout from "Figure" to "Original" if you want the image to be displayed bigger.